Mobile ARC has been helping special-needs Mobilians since 1956 with an approach that includes advocacy, research, assistance and education. MARC’s worthy work has made a difference for generations of locals so challenged, and their loved ones. The organization’s latest fundraiser takes place Aug. 6, 6 p.m., at Azalea Manor (751 Dauphin St.) with a unique exhibition and sale of artwork by MARC art program participants who worked solo and in collaboration with artists from the general community. 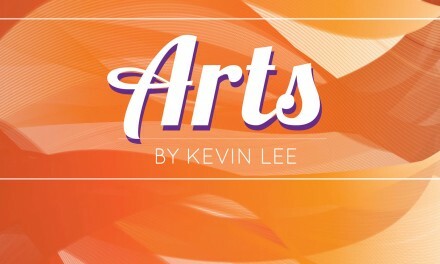 The event benefits Mobile ARC art education programs. (Photo/ facebook.com/MobileArc) View and bid on artwork by Mobile ARC artists as well as collaborative pieces created with artists from the community Aug. 6 at Azalea Manor. The evening includes more than visual crafts. Musician Eric Erdman will perform while culinary expertise will be provided by Chef Rob. MARC-Art 2015 is sponsored by the Poarch Band of Creek Indians, a Platinum Sponsor; Regions Bank, Gold Sponsor; Smith, Dukes & Buckalew and Thames Batré Insurance, both Silver Sponsors; and Alabama Orthopaedic Clinic, Cottage Hill Civitan Club and US Foods, all Bronze Sponsors. Mobile ARC is a nonprofit organization providing services and programs for people with disabilities including Down syndrome, autism, cerebral palsy and other diagnoses. 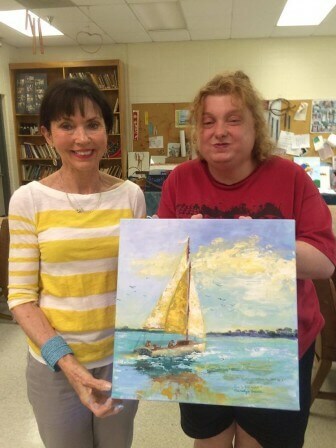 Because art activities help these individuals to socialize, express their feelings and stay healthier, MARC provides arts education opportunities in painting, pottery, martial arts and music therapy. Tickets are $25 and available by contacting Suzanne Dennis at 251-479-7409, ext. 623. For more information, contact Amy Odom at 251-665-9646 or aodom@mobilearc.org. The current show of self-taught artistry on display at Alabama Contemporary Art Center (ACAC) in downtown Mobile has made its way westward. The downtown arts center is operating in conjunction with the Mobile Museum of Art (MMoA) in Langan Park (4850 Museum Drive) for the unveiling of its latest exhibit focusing on grassroots genius. ACAC Director Robert Sain joins his MMoA counterpart Deborah Velders at the opening of the show on Thursday, Aug. 6 at 6 p.m. The pair will provide a short introduction to the works on view and explore the concepts involved. Admission is free. For more info, call 251-208-5200. The Big Bad Wolf has earned a reputation as the most notorious criminal in his fantasy realm, and the result is a class-action lawsuit from several of those he’s persecuted. As opposing counsel — the Evil Stepmother and Fairy Godmother — squares off in trial televised by Court TV, Little Red Riding Hood, her grandmother, the Three Little Pigs and the Shepherd overseer of “The Boy Who Cried Wolf” get their day in court. The question at hand? Was the wolf born bad or was he made that way? As jury, the audience gets to decide. The overwhelming turnout for the 14 roles in “Big Bad” caused director Sharon Watson and assistant director Cailey Mize to write additional material. The final version has 33 actors. Appropriately, the show will serve as a fundraiser for the Alabama Gulf Coast Zoo. The lupine residents, in particular, will benefit. Show dates are Aug. 7-9 and 14-16. All performances are at South Baldwin Community Theater, 2022 W. Second St. in Gulf Shores. Friday and Saturday curtain is at 7:30 p.m. Sunday matinee is at 2 p.m.
Tickets are $10 for adults and $5 for students. They can be purchased through sbct.biz and at the theatre box office, open Monday through Friday, 10 a.m.-2 p.m.
For more info, go to scbt.biz or call 251-968-6721. Representatives of Huntsville’s Marshall Space Flight Center will be in town Saturday, Aug. 8, for a special exhibit at the Gulf Coast Exploreum (65 Government St.). From 10 a.m. until 3 p.m., visitors can talk with key managers of the North Alabama facility as kids make their own rockets and learn about space exploration. Jody Singer, manager of the Flight Programs and Projects Office at Marshall, and other key managers will be available. Topics of discussion will range from the Orion spacecraft to 3D printing and other advanced technology. There will be hands-on stations to learn about space walks, building and launching a simplified rocket, designing a space suit, testing a parachute design and selecting a landing surface for a Mars rover. Visitors will be able to touch an actual moon rock, don a spacesuit and step inside a newly developed Mark III Spacesuit that will test technologies for future planetary exploration, among other opportunities. These join the “Journey to Mars” and “Beyond Earth” exhibits that have been in place for the summer and will remain until Sept. 7. Regular Exploreum hours are Monday-Thursday, 10 a.m.-5 p.m.; Friday-Saturday, 10 a.m.-6 p.m.; and Sunday, noon to 5 p.m.